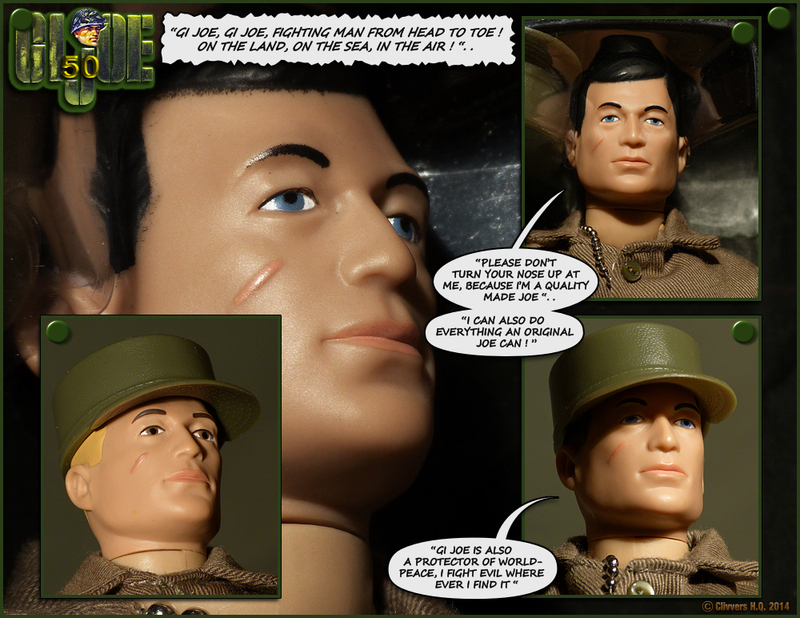 GI JOE 40th Anniversary Editions ( Inspection day).. 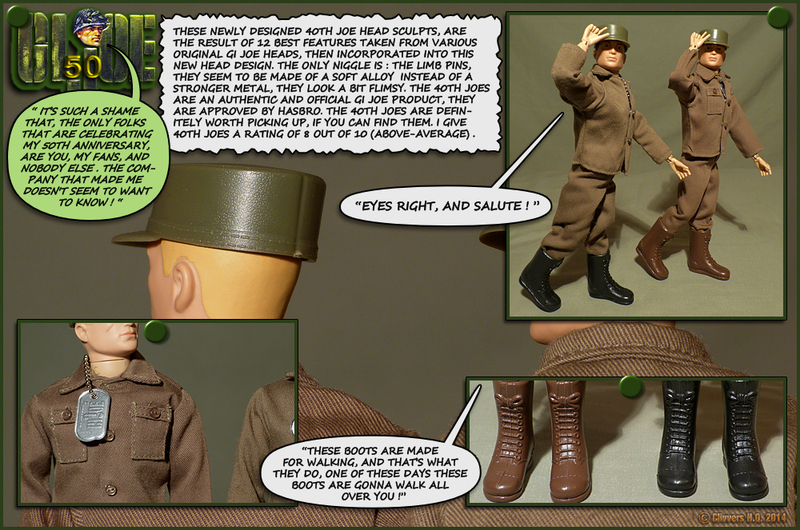 Cool stuff and nicely done! 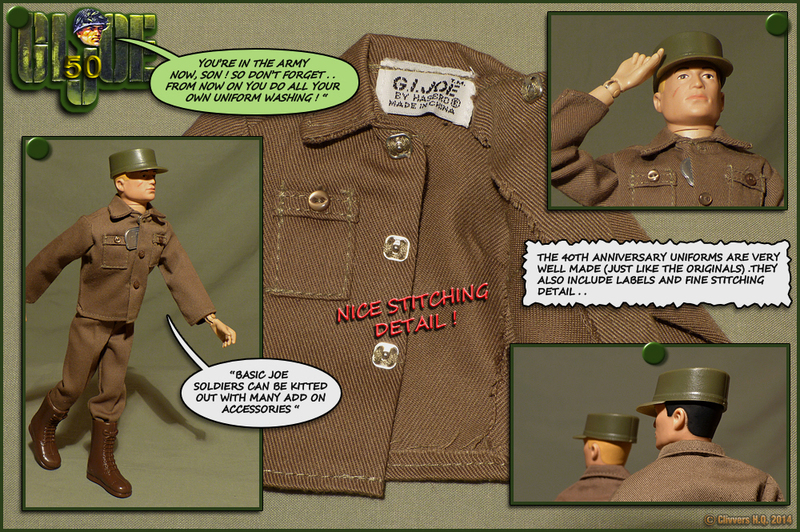 Thanks Jim, the 40th anniversary Joes are very much appreciated over this side of the pond. Those eyes always put me off. 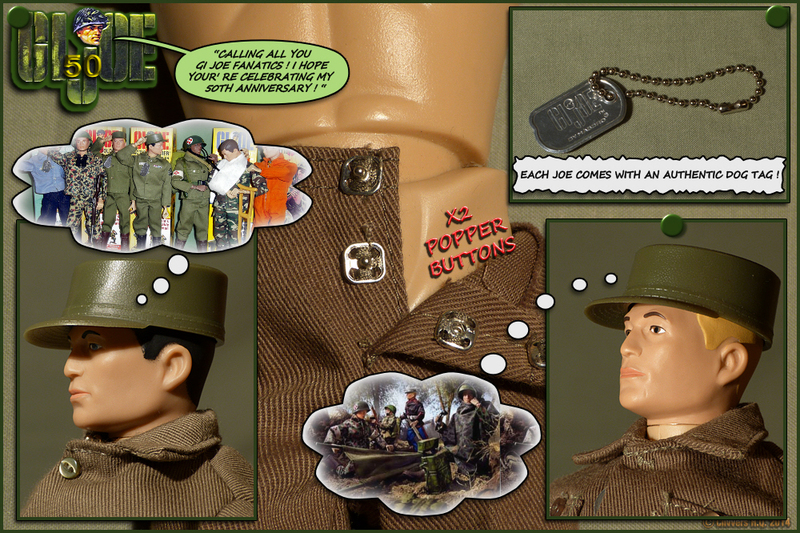 Every 40th Joe I lay hands on either goes into a uniform that includes headgear that will hide them, or gets a repaint. At least they aren't as bad as the maniacal - looking "Eagle Eyes". Nice layout, but where on Earth did the shirt with the double collar snap come from? 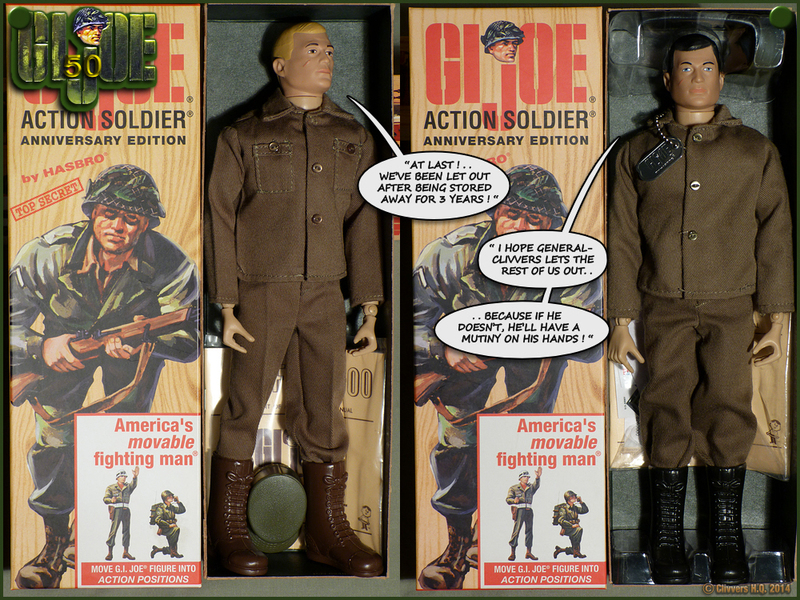 There are only one or two 40th Action Soldier sets I didn't purchase, and I haven't seen that on any of the ones I own. Do you mean the double snap pants/trousers? They came on the Joe when i bought it, I've not seen any like this before.. perhaps there was a limited run of these then they changed their minds to keep the costs down? D'OH! 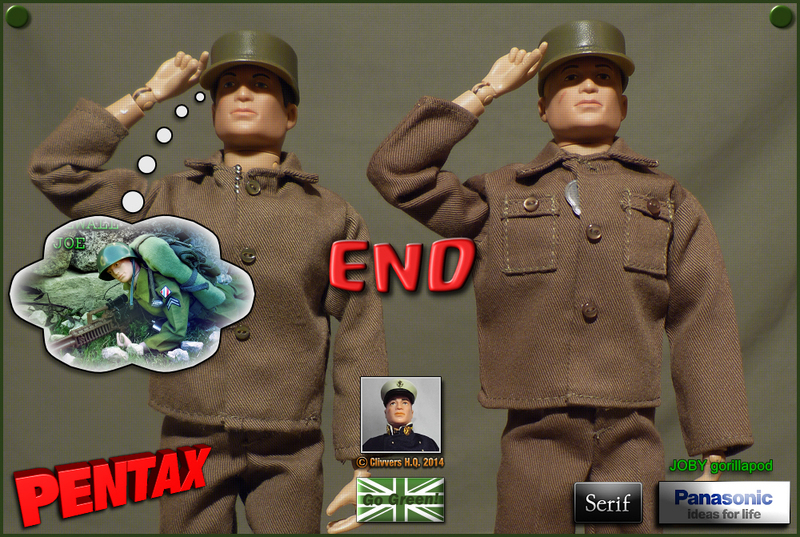 For some reason these old, tired eyes thought that was the collar of a shirt, not the fly of the trousers. Color my face red. As far as that goes, I have a few pair, both vintage and 40th that have the double snaps at the fly. Sorry for the confusion. Carry on. LOL! 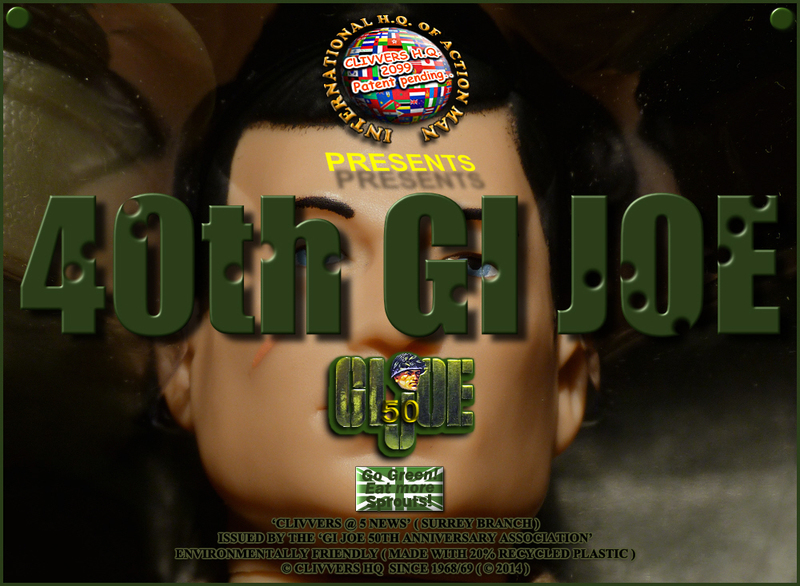 @ KneonKnight... It's our age lol!